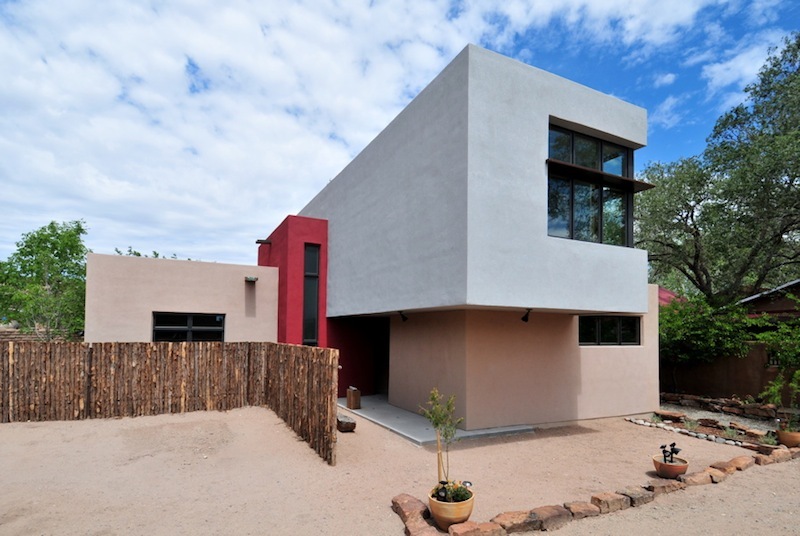 Already 70% leased, this impressive 66-unit apartment project, Silver Gardens, is the first affordable housing development in New Mexico that has been designed and built to obtain LEED Platinum certification. Located on a reclaimed brownfield near bus and rail access, Silver Gardens boasts some impressive green elements. 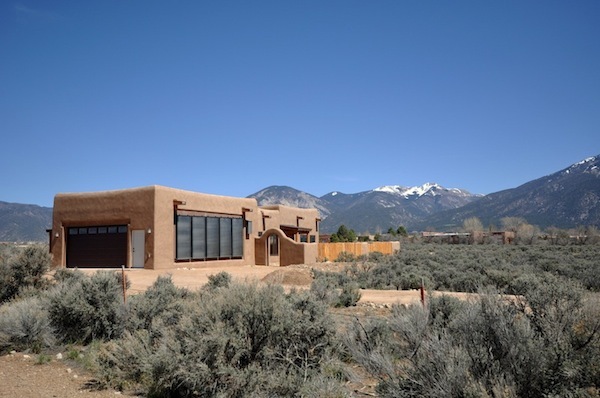 Solarsmith, a green building firm out of Santa Fe, New Mexico, recently helped Betsy Armstrong and Richard Barr build an eco-friendly, traditional southwest-style home in the foothills of Santa Fe. 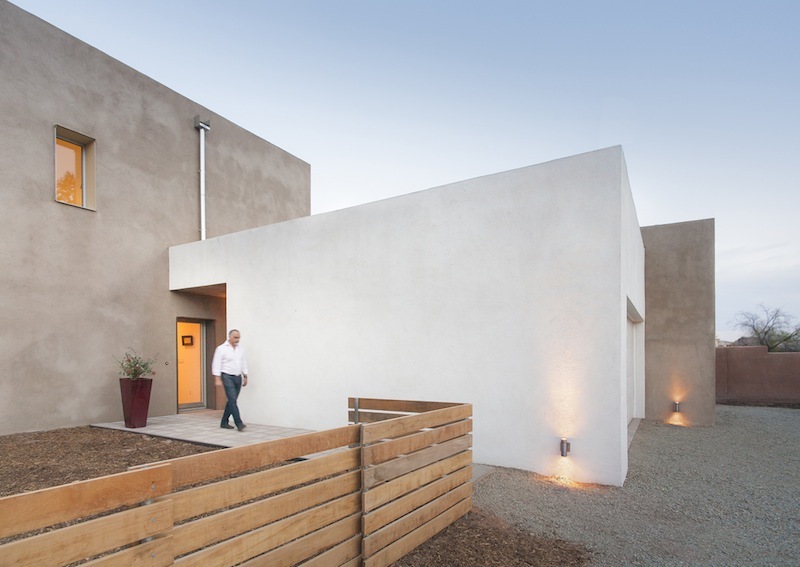 The residence's roof is filled with solar panels, which are tied into the grid, helping to heat water for the radiant floors, exercise pool and appliances. Excess energy is fed to neighboring homes.